Shoulder instability is a problem that occurs when the structures that surround the shoulder joint do not work to maintain the ball within its socket. If the joint is too loose, it may slide partially out of place, a condition called subluxation (partial dislocation of the shoulder joint). 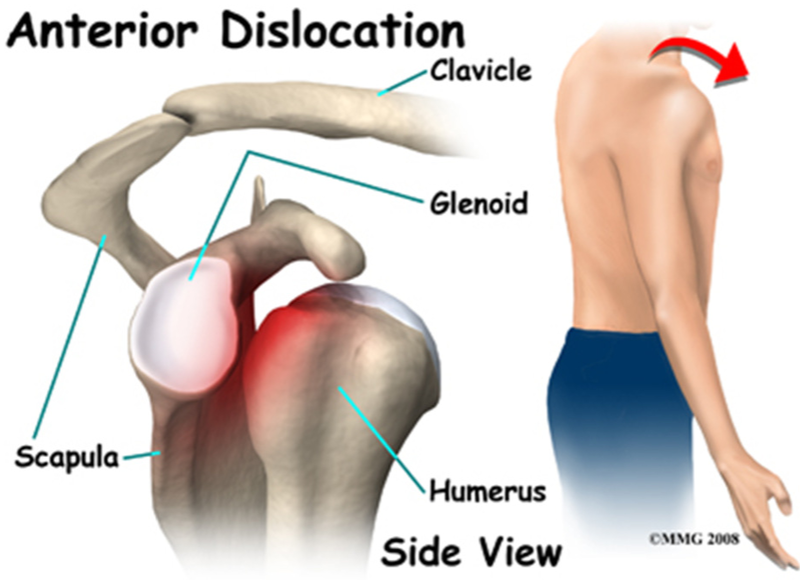 If the joint comes completely out of place, this is called a shoulder dislocation. No single structure is responsible for providing stability at the shoulder joint. Instead, the bony structure of the joint surfaces, the ligaments, capsule and muscles are all key components in maintaining a stable shoulder joint yet permitting a large range of movement in several directions. Instability is often associated with subluxation, which may be associated with pain and/or dead arm sensation. This is often what prompts the patient to seek medical attention. In some people, this is not actually painful but can be quite annoying and prevent them from taking part in daily activities or sports. Instability of the shoulder joint can be in one direction, eg anterior instability (out the front), posterior instability (out the back) or in more than one direction (known as multidirectional instability). The most common form of instability seems to be anterior and is probably because the joint capsule is at its weakest at the front of the joint. What causes an unstable shoulder? The shoulder is the most moveable joint in your body. It helps you lift your arm, rotate it, and reach up over your head. It is able to turn in many directions. This greater range of motion, however, results in less stability. Shoulder instability occurs when the head of the upper arm bone in forced out of the shoulder socket. This can happen as a result of a sudden injury or from overuse. Shoulder instability is most commonly caused by two different problems, placing people into two different categories in terms of treatment options. The category of “post-traumatic” shoulder instability includes people with a previous injury that has stretched or torn the ligaments of the shoulder. A second category is used for people who naturally have loose shoulder joints. The younger a patient is at the time first subluxation or dislocation episode, the more likely he or she is to suffer from further episodes of instability. Conversely, shoulder instability is less of a problem as people grow older, because most people naturally become a little bit stiffer with age. Young Athletes – Athletes who compete in sports that involve overhead activities may have a loose shoulder or multidirectional instability (MDI). These athletes, such as volleyball players, swimmers, and baseball pitchers, stretch out the shoulder capsule and ligaments, and may develop chronic shoulder instability. While the joint may not be completely dislocated, the apprehension, or feeling of being about to dislocate, may interfere with their ability to play these sports. Some people with shoulder instability have never had a dislocation. Most of these patients have looser ligaments in their shoulders. This increased looseness is sometimes just their normal anatomy. Sometimes, it is the result of repetitive overhead motion. Swimming, tennis, and volleyball are some sports examples of repetitive overhead motion that can stretch out the shoulder ligaments. Many jobs also require repetitive overhead work. Looser ligaments can make it hard to maintain shoulder stability. Repetitive or stressful activities can challenge a weakened shoulder. This can result in a painful, unstable shoulder. 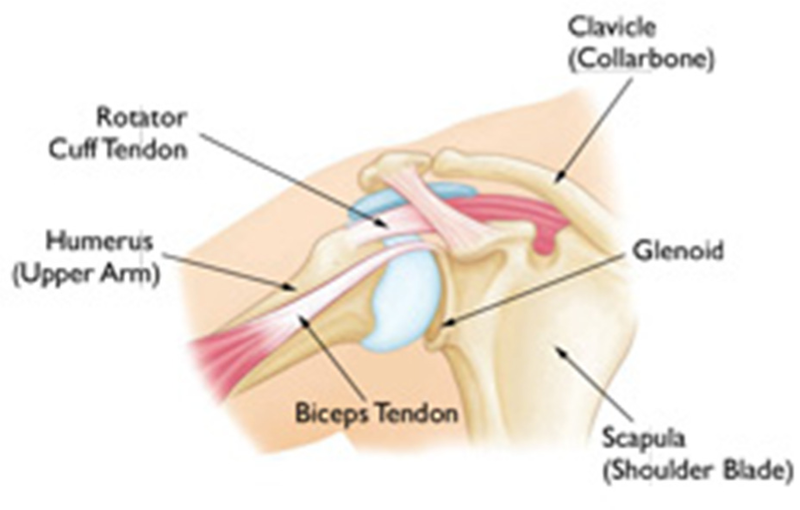 In a small minority of patients, the shoulder can become unstable without a history of injury or repetitive strain. In such patients, the shoulder may feel loose or dislocate in multiple directions, meaning the ball may dislocate out the front, out the back, or out the bottom of the shoulder. This is called multidirectional instability. These patients have naturally loose ligaments throughout the body and may be “double-jointed”. Many times, the athlete with instability will have a feeling that the shoulder wants to “come out of socket”. 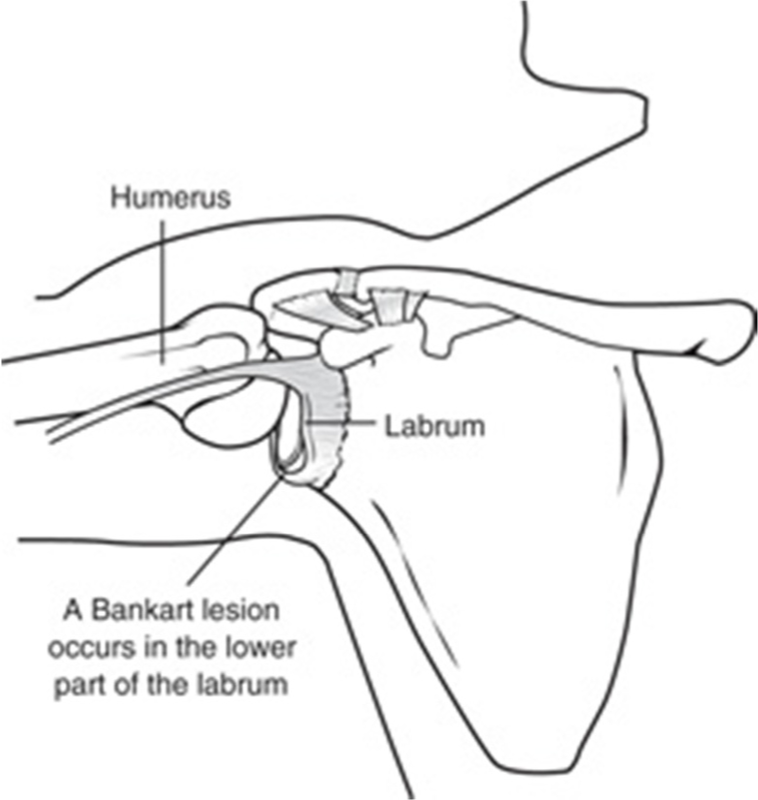 This is the shoulder slipping or sliding forward on the glenoid and into the labrum. Typically, the person will feel this “slipping” when they have the shoulder in what is known as the provocative position. This is the position that they would be in if the arm was cocked and ready to throw a ball. As the athlete continues to throw, the tear can increase and sooner rather than later, the athlete can no longer perform at their desired level. At this point, they will more than likely decide to have the shoulder repaired surgically. Do not try to move the shoulder or put in back yourself, otherwise you may cause further damage. You must seek medical attention immediately. Treatment of shoulder instability depends on several factors, and almost always begins with non-surgical options. If patients complain of a feeling that their shoulder is loose or about to dislocate, physiotherapy with specific strengthening exercises will often help maintain the shoulder in proper position. Shoulder strengthening is most likely to help those patients with multi-directional instability. It often takes several months of non- surgical treatment before you can assess if it is working. Other treatments include cortisone injections and anti- inflammatory medications. What are the surgical repair options? How important is rehabilitation in the treatment of an unstable shoulder? Rehabilitation plays a critical role in both the nonsurgical and surgical treatment of an unstable shoulder. There is frequently atrophy of the muscles around the arm and loss of motion of the shoulder, and an exercise or physiotherapy program is necessary to regain strength and improve function in the shoulder. After surgery, therapy progresses in stages. At first, the repair needs to be protected while the shoulder heals. To keep your arm from moving, you will most likely use a sling and avoid using your arm for the first 4 to 6 weeks. Full healing takes 12 to16 weeks and occurs in 80-85% of patients who undergo surgery. Once your surgeon decides it is safe for you to move your arm and shoulder, a physiotherapist will help you with passive exercises to improve range of motion in your shoulder. With passive exercise, your physiotherapist supports your arm and moves it in different positions. In most cases, passive exercise is begun within the first 4 to 6 weeks after surgery. After 4 to 6 weeks, you will progress to doing active exercises without the help of your physiotherapist. Moving your muscles on your own will gradually increase your strength and improve your arm control. At 12 to 16 weeks, you will usually start on a strengthening exercise program. You can expect a complete recovery to take several months. 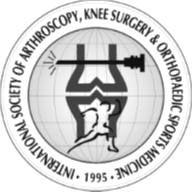 Most patients have a functional range of motion and adequate strength by 6 to 9 months after surgery. Although it is a slow process, your commitment to rehabilitation is the key to a successful outcome. The majority of patients report improved shoulder strength and less feelings of instability but your shoulder may never be NORMAL however. What are some of the risks and complications of surgery? Be sure to follow the rehabilitation program that is provided for you. Although recovery is a slow process, your commitment to physiotherapy is the most important factor in returning to all the activities you enjoy.